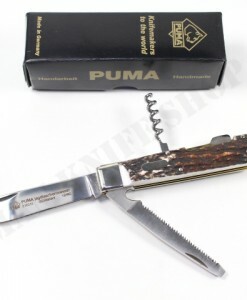 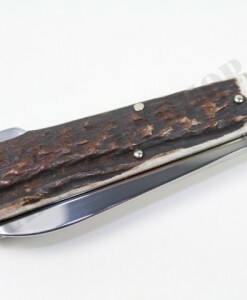 Here we offer an original German Puma “HUNT WHITE HUNTER ” system handle. 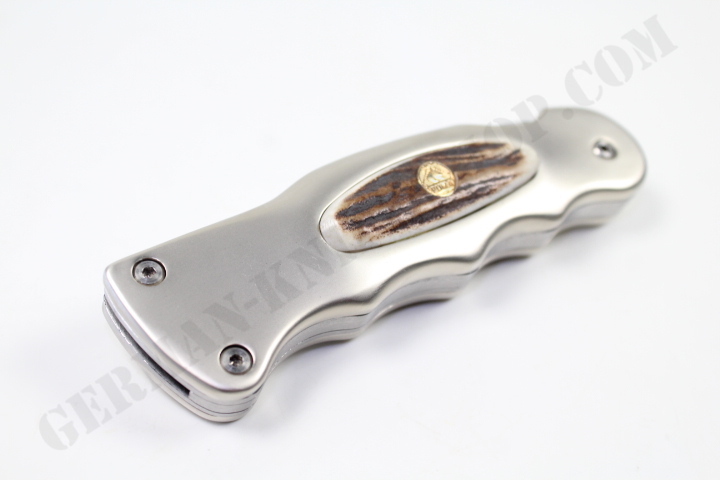 The HUNT WHITE HUNTER / Handle is made of Aluminium with two deer horn inlets. 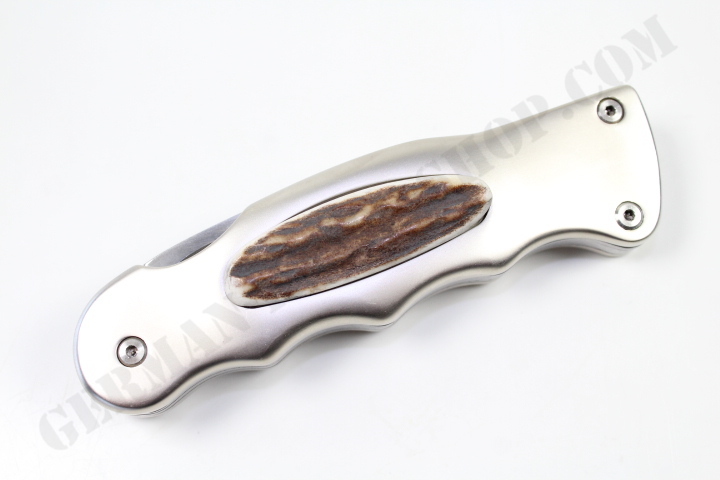 Handle length 4 1/3 inch (approx. 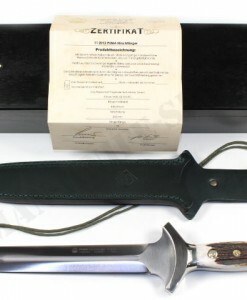 12,5 cm). 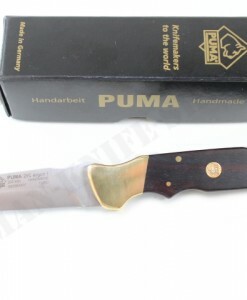 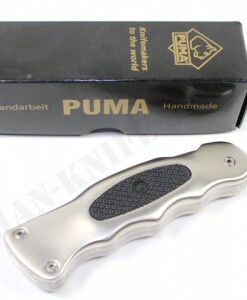 The rare handle comes in original Puma Germany factors box incl. 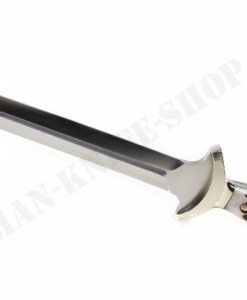 one wrench ! 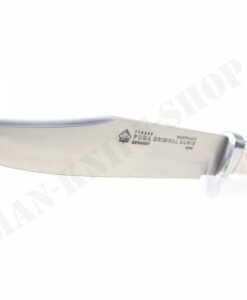 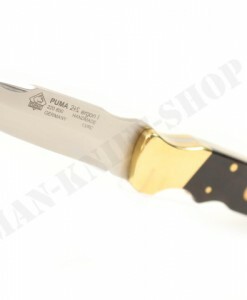 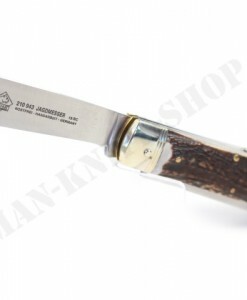 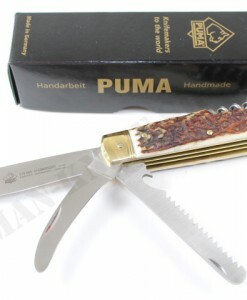 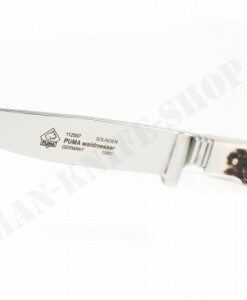 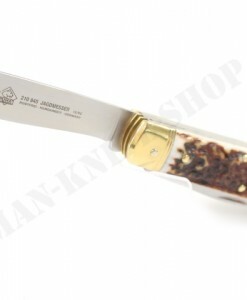 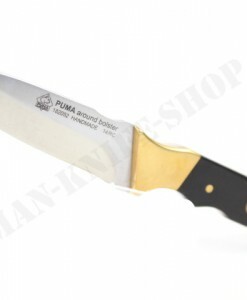 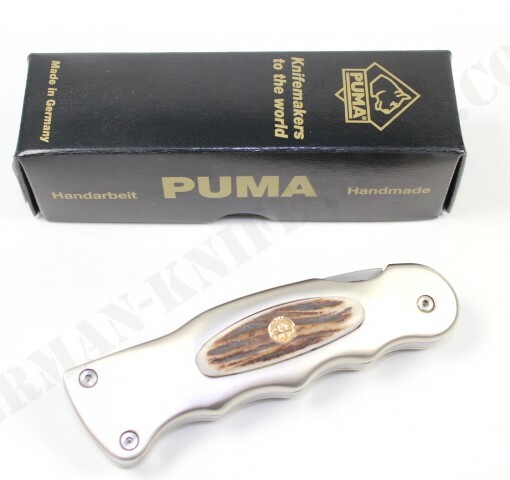 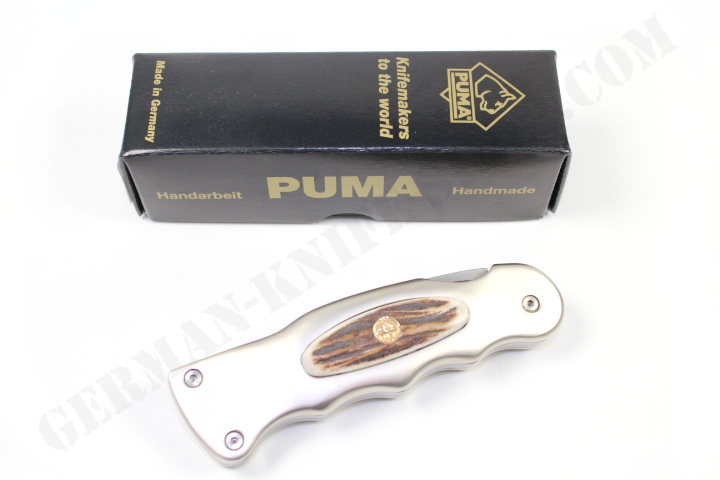 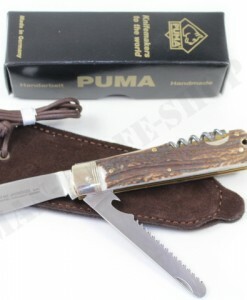 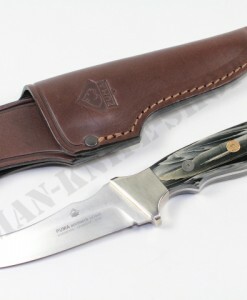 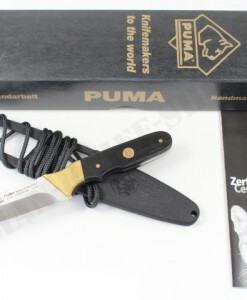 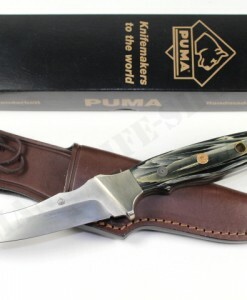 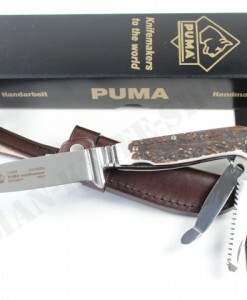 You will find here in my shop all fit blades for this excellent Puma Hunt White Hunter handle. 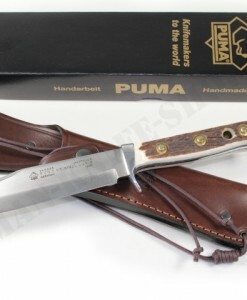 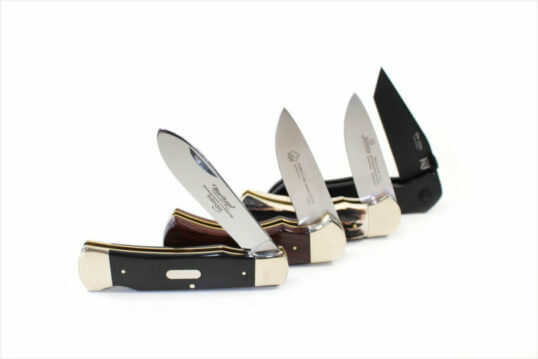 So you can create your own and very personal hunting knife !